Quinns: Paul, you’re just in time! I was about to test my state-of-the-art news flying machine. Climb aboard! We’ll see the whole board game hobby at a glance. 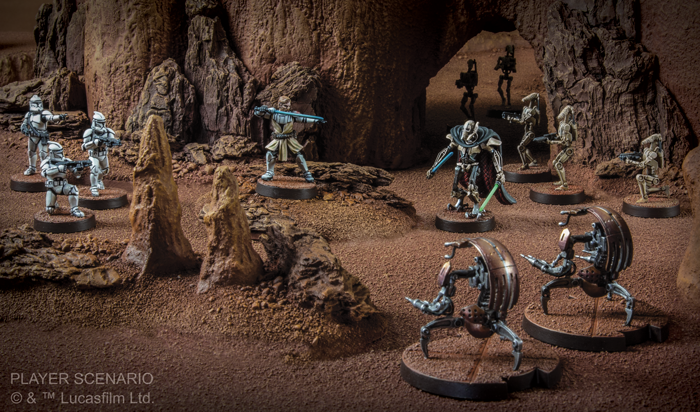 Look there, down in the province of Portal Games! With my trusty telescope, I spy a fourth expansion for Imperial Settlers in the works. Following on from Why Can’t We Be Friends and 3 Is a Magic Number, this new pack is more in the vein of The Atlanteans. 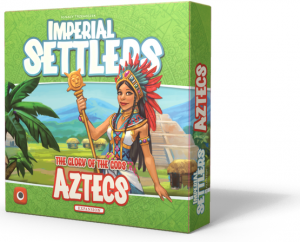 It’s called Imperial Settlers: Aztecs and it’ll add – you’ll never guess – a playable nation of Aztecs to Imperial Settlers! Quinns: You and I haven’t prodded any of the expansions for Imperial Settlers since our review, but this level of publisher support always makes me so curious about a game. What are we missing, being distracted by new games? Perhaps we could divert our voyage and land here? Ah, it is an idle fantasy. We’ve far to travel, and time is scarce! ONWARDS! Paul: Oh my god this thing stinks of superglue. Why didn’t you open a window? Quinns: Ha! Exactly right, Paulpartout. There, on the horizon! I can see the gross and distended metropolis of Kickstarter, and what’s that game? Why, Tim Fowers of Burgle Bros and Paperback is crowdfunding a new project! 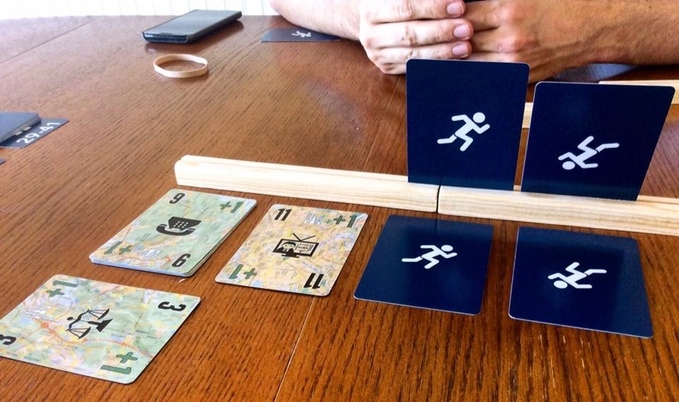 It’s called Fugitive and it’s a tense game of cat and mouse for just 2 players. Quinns: I actually played a prototype of Fugitive at GDC this year, Paulpartout. Even in that primitive form it was plenty of fun, and unlike anything else I’ve ever played. If any of our readers fancy the look of this game then I think they can back this happily, and the Kickstarter box closes with a magnet! A magnet! Quinns: Fie! If I wanted safety I’d lock myself in a cabinet with a bottle of lemonade. Paul: But this is something you can get behind, right? Origins seems like a much cooler crowd. Quinns: Oh, 7 Wonders Duel. Paul: Fine! But these still look like more our flavour of games. Or… or… I know what’ll make you happy! There’s a reprint of Sherlock Holmes: Consulting Detective on its way. Not only will it be available again, but some of those actually rather case-borking typos should be corrected. Can I have a knife now? Or… maybe even an ambulance? Quinns: FLY AWAY WITH ME. That’ll make me happy. 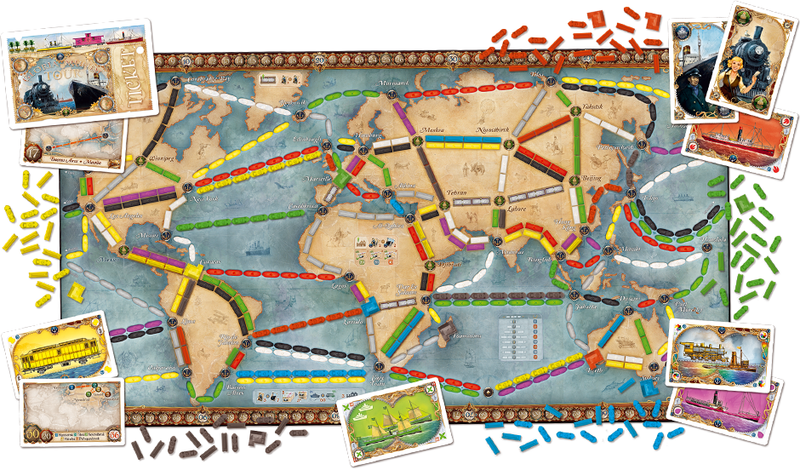 We’ll see the whole world, just like you can in the forthcoming Ticket to Ride: Rails & Sails. The whole world, Paul! Trains and boats! 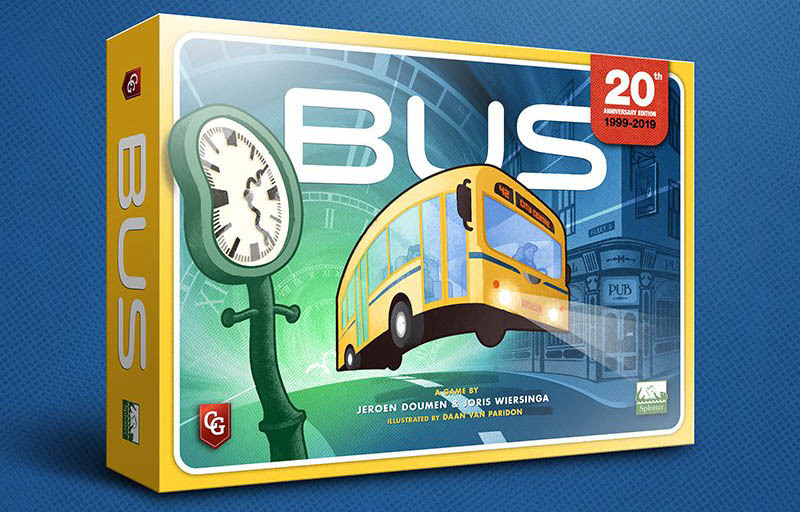 Your two favourite forms of transport, mixing up the game and adding new choices about what sort of routes you want to monopolise! Paul: Great! 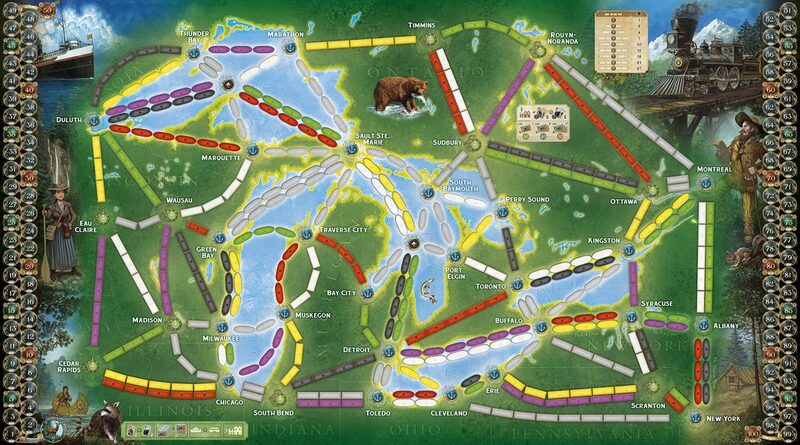 For the first time ever, I might feel something more than tepid ambivalence for Ticket to Ride! I might find that, in fact, some kind of emotion does still remain, deep down inside of me, whenever someone mentions the name of that game. Because, right now, it’s like somebody pulls the plug out of the bath of my enthusiasm as soon as I even think about that series and it takes me a full day to fill it all up again. I tell you what I can feel enthusiasm for, and that’s the recent launch of Our Turn, the first board gaming podcast run entirely by women, who are keen to share their excitement for this excellent hobby. Quinns: Yes! 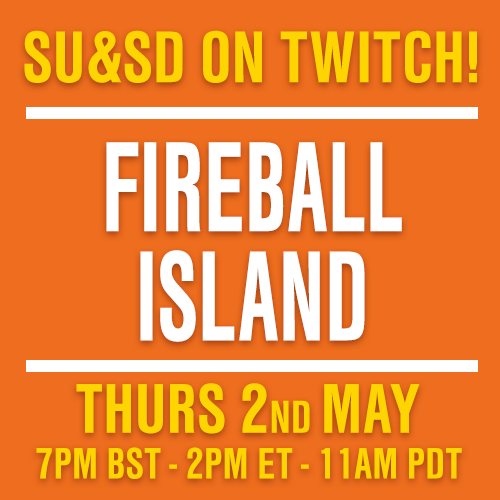 There’s more and more podcasts and shows like these on the horizon every month. We’d love for our readers to let us know about their favourites in the comments way, way down beloowww as I take us to an altitude from where we can safely watch the new Monopoly musical, which reader Eleanor Field let us know about the other day. I think she was actually warning us, Paul. Paul? Paul: Quinns, it’s at least THREE OR FOUR YEARS AWAY, whereas I am going to pass out or starve much sooner than that if I can’t get out of this thing and… Are you just high on fumes? Is that it? Is that’s what’s happened? Is that why these dice don’t look right? No, wait, those are definitely just… mutant dice. Those are mutant dice. Those came via reader Thomas Pappas, so thanks Thomas. Thanks. Those alien shapes will for sure cause me mild discomfort for the rest of my life. I had to share this short New Scientist article with everybody. 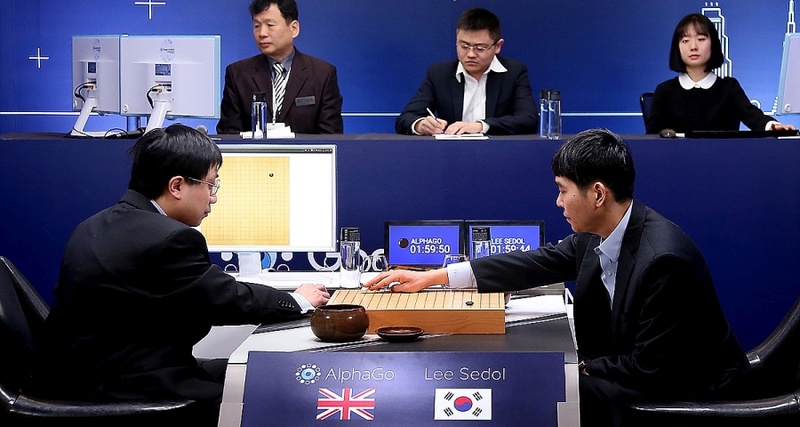 It talks about the cultural impact of AlphaGo, Google’s Go-playing artificial intelligence, in South Korea, a country that considers Go a proud national art form that requires “intuition, creativity and communication”. So obviously it’s a bit of a bummer when a robot shows up and stats crushing grandmasters like Honey Nut Cheerios. The best bit is the miniature interview with the man on the left of that picture, Google employee Aja Huang, who acts as the interpreter between the program and the physical board. He talks a bit about the importance of his being polite on behalf of the program, and how he’ll place stones more or less confidently on the board depending on the computation time of the program. Oh, he’s unconscious. Well, I suppose bracing journeys aren’t for everybody! I’ll just wake him up when it’s time to go home.